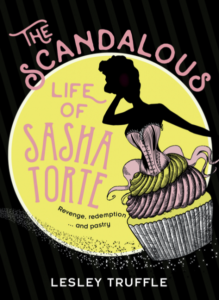 Lesley Truffle, author of The Scandalous Life of Sasha Torte – a wild romp of dastardly deeds, dark villains, wild gangs, luxurious hotels and mouth-watering treats, reveals her own personal struggle between good and evil. I was raised in a godless Melbourne household. We were supposedly Church of England but never went to church, said grace or possessed a family bible. However, my mother did entertain the local vicar. Probably because he was excellent company, possessed a sense of humour, and was partial to her Devonshire teas. Simone’s warm scones were legendary and she hand-whipped the cream. I don’t think the vicar ever seriously tried to persuade my mother to attend his church. No doubt he was aware of Simone’s bohemian tendencies and her repugnance for the bourgeois lifestyle. Suburban was the word Simone used to denigrate activities she deemed gauche or unworldly. But my mother would have cheerfully entertained the Devil if he’d shown up on her doorstep with a decent bottle of Beaujolais. I discovered Catholicism at eight years old when a friend invited me to her confirmation. It involved Jenny getting all dolled up in ethereal white lace and white satin shoes. I was familiar with Jesus and the traditions of Easter and I’d admired nativity scenes blazing away in Myer’s Christmas windows. But it was Jenny who introduced me to the concept of good versus evil and original sin. At a Catholic funeral I was transfixed by the priest in his ceremonial robes. It was a Latin Mass and even though I had no idea what was going on, I felt special sitting in God’s house. Local boyos I’d seen loitering around and snogging girls were now angelic in starched white robes. I nearly swooned when they swung the incense burners. My mother burnt Indian incense but I’d never smelt frankincense before. I watched the fragrant smoke ascending to heaven. I’d be lying if I claimed it was the Holy Spirit that moved me. It wasn’t. It was the magnificent theatricality of the Catholic Church. The first time I witnessed Holy Communion I couldn’t get over the congregation solemnly swallowing the body of Christ in the form of a wafer. It impressed me almost as much as the fish and chips that Jenny’s family ate every Friday night. At home Pork Vindaloo and French cuisine was regular fare. So I worked out a deal with Jenny that I’d invite her over for the Vindaloo, and she’d get me over for fish and chips and ice-cream. I’ve never forgotten my first taste of golden chips, slathered in tomato sauce. Bliss. But despite my best efforts I remained a heathen. It seemed to me that many folk sincerely believed there was a deity upstairs looking after us. I wished I was one of them. I had an enquiring mind and wanted to know everything about the fallen angel who was known as the Devil, Lucifer, Beelzebub or Satan. Jenny reckoned that Lucifer had committed the sin of being prideful and conceited. The divide between good and evil fascinated me. How could evil possibly be the opposite of good, when I found Lucifer to be the most interesting of God’s archangels? When I searched for images of Lucifer I discovered a naked young man with impressive black wings and bulging biceps. We lived in a tough industrial suburb. I witnessed a lot of violence, usually when local blokes got rotten drunk. Strangely enough because my father was a British government engineer and my posh English mother was so discreet, our neighbours never suspected there was domestic violence happening in our house. When my father went berserk it was behind closed doors and Simone wore dark sunglasses to disguise her blackened eyes. She drilled it into me that I must never mention my father smacking us around. But dear old dad didn’t have to be drunk or stoned to abuse us – he was cold stone sober. One night I saw a neighbour chase a man down our street and stab him with her kitchen knife. Fortunately he survived, but there was nasty gossip about Pearl’s newfound wickedness. I’d often visited Pearl’s well-kept council home because her daughter, Angie, was my age and we were buddies. Pearl was a well-respected, kind, nurturing single mother. I’d often seen her heading off to work looking chic and professional. I would have swapped places with Angie in a heartbeat. Surely one criminal action couldn’t condemn Angie’s mum to Hell? I couldn’t stop thinking about it. And when I decided that Pearl wasn’t evil, it changed me forever. A few years later I got to know criminals who had big hearts. Several did time in the slammer for burglary, drugs or fraud. I had to conclude that everyone has both devil and angel in them. And from that point on I stopped thinking in binaries and accepted that good and evil can coexist side by side. In short, I grew up and abandoned the last of my childhood fantasies. 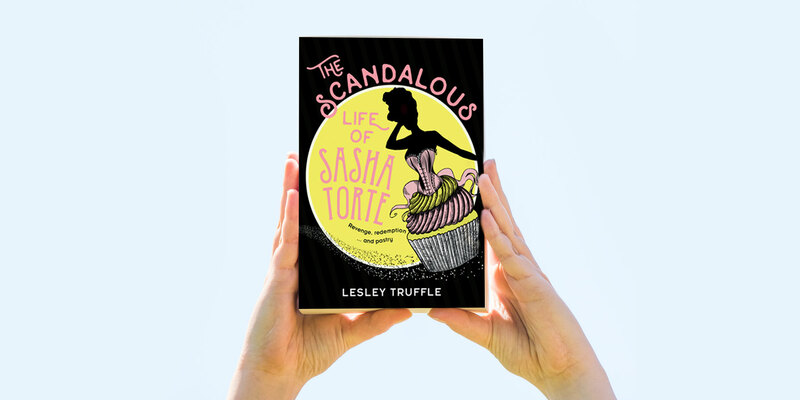 This entry was posted in Guest Post, Literary Fiction, Sample and tagged Good and Evil, Lesley Truffle, The Scandalous Life of Sasha Torte. Bookmark the permalink. "Dancing with the Devil | Lesley Truffle"